​ network (LSN) Summit: INFUSE! At this year's Lilly Scholars Network Summit, we aim to INfuse scholarship recipients with the desire and opportunity to connect, serve their community and collaborate to improve the lives of Hoosiers. 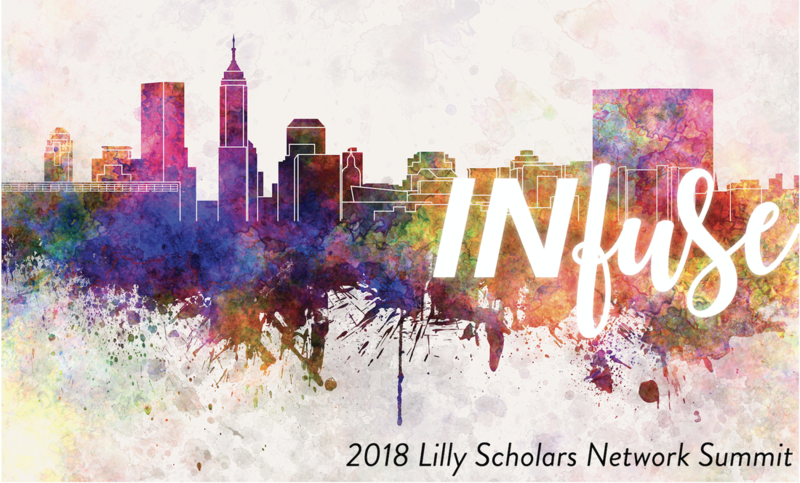 All current and alumni recipients of the Lilly Endowment Community Scholarship are invited to attend this free event hosted by the Lilly Scholars Network at Independent Colleges of Indiana in downtown Indianapolis on Saturday, July 28. Attendees will receive a LSN t-shirt and also enjoy a light breakfast and lunch as part of the event. Please note that space is limited so reserve your spot soon! We are requesting that each attendee bring a new or gently used backpack to donate to a student in need. These will be used by students in grades 4-12, and will be needed for our morning service project. An incredible panel of current and alumni scholars who will share their stories - including a Pulitzer Prize winner, app developer, and a PhD student! A sneak peek into what's to come - from leadership updates to collegiate chapter additions and social events designed to engage scholars and alumni throughout the year, there are fantastic things in store. And, of course, the opportunity to network with current and alumni scholars from all over the state! For those interested, there will be a social event to follow within walking distance of the summit. This will be announced at the retreat and all are welcome to join us. We look forward to seeing you on July 28! CLICK HERE TO REGISTER FOR THE LSN SUMMIT! About Brandon: Brandon started in business at the age of 14. During his sophomore year of high school, Brandon launched The BullyBox, a mobile app designed to allow students to report bullying and other school safety concerns to school administrators. Brandon then started a new mobile development consulting company where he and his developers worked for clients as large as the US Chamber of Commerce. For his third venture, he and two others co-founded Vemity, an AI as a Service platform that makes it easy for companies to integrate AI into their existing software.